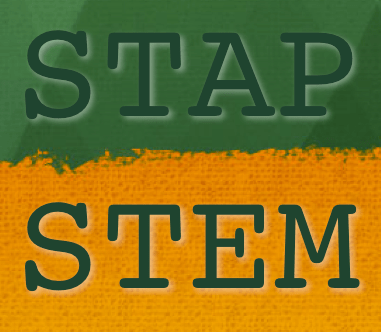 What is Harvard’s role in the STAP stem cell mess? If you have been living in a cave somewhere for the last 6 weeks, to catch you up to speed, an international collaborative team published two papers in Nature reporting the creation of powerful stem cells–so-called STAP stem cells–via a simple method of stressing ordinary differentiated cells out such as by dipping them in a weak acid solution. But other stresses supposedly could simply promote this alchemy-esque transformation as well. The report was incredibly exciting but seemed too good to be true to many around the world. We still do not know if STAP stem cells were actually ever really created or not at this point, but to my knowledge no one else in the world so far seems to be able to independently replicate creation of STAP cells. Perhaps more time is needed such as a full year, but so far at least it isn’t look promising. The team included researchers both from Japan’s RIKEN institute and Brigham & Women’s Hospital/Harvard Medical School. Since their initial publication, the STAP stem cell papers and the authors have come under scrutiny. A disturbing, still-growing series of major problems have emerged. In fact some of the authors on the Nature letter have now asked that the papers be retracted, while other authors, notably Dr. Charles Vacanti of Brigham and Women’s/Harvard Medical School, reportedly remain opposed to retraction. Allegations related to the papers and other publications by this team include multiple instances of plagiarism, image duplication, image manipulation, and more. This is serious stuff. One bizarre element of this STAP story has been the stark contrast between how Harvard and RIKEN have reacted to this situation, at least in the public domain. RIKEN has stated it has opened an investigation, held a press conference, and more. Japanese news media have been all over this story. As much as RIKEN’s response to the situation can be criticized, at least they have been somewhat openly dealing with it. At the same time, what has been Harvard’s response to the STAP situation? So what is Brigham and Women’s/Harvard Medical School’s role here? Certainly they share significant responsibility for the two STAP papers. Dr. Obokata (first author on both STAP papers) received substantial mentoring at Brigham and Women’s/Harvard Medical School. The STAP cell patent application appears to have been submitted by Brigham and Women’s on behalf of the group. If US institutions have investigations ongoing (perhaps they don’t see a need for one?) Harvard and/or Brigham and Women’s policies may prohibit public disclosure of it. In fact even after such a hypothetical investigation (again if there even is one) were complete, we may never publicly learn of the outcome or only many years down the road. Meanwhile in total contrast in Japan there is huge pressure for immediate action and relatively speaking a massive amount of public discourse on the situation. A Tale of Two Cities…or should I say of Two Countries, and one shared very strange scientific story. Actual role of HMS/BWH researchers aside, I think that differences in the situations at the two institutions and in the two countries have to be considered. RIKEN actively promoted this research, and the Japanese media simultaneously (and prematurely and irresponsibly) over-hyped the potential impact of STAP cells to the public, artificially creating a much higher height for STAP and RIKEN to fall down from later. Japanese media talking heads were fawning over Dr. Obokata and even suggesting that she might eventually win a Nobel Prize, which inspired an entire nation and became a source of national pride. RIKEN promoted media access to Dr. Obokata and talked about the patent application to the public. It even reached the level of the Japanese government, which also expressed interest in promoting STAP research. RIKEN and Japan thus have a lot riding on STAP cells, and people in Japan feel betrayed. Contrast this with HMS/BWH and the US. HMS/BWH hardly promoted STAP, and most of the Western media forgot about the Nature papers within a few days- they treated it like almost any other run-of-the-mill “breakthrough” discovery until the “scandal” aspects emerged. HMS/BWH files for many patents all the time; this is just another one and they did not draw special attention to it. STAP just wasn’t as big of a deal here, and HMS/BWH does not seem to have much riding on STAP cells; thus, the fall of STAP for them occurs from a much lower height that may not necessitate a very public and messy investigation. Furthermore, most media outlets (especially in Japan) also described this research as mainly coming from RIKEN/Japan and not HMS/BWH. Thus, because RIKEN is more associated with public STAP hysteria and has much more riding on STAP cells than HMS/BWH, there seems to be a lot more pressure on RIKEN to “do something,” especially in Japan. Another thing to consider is that RIKEN is a public, pseudo-governmental organization and therefore more subject to public accountability (I wonder if there would be any difference if it were NIH intramural researchers rather than HMS/BWH). I also wonder if the difference in mission between BWH, which is an HMS-affiliated teaching hospital, and RIKEN, which is a research institute largely focusing on basic science, may affect the nature of the response. As for everything else, from what I saw while working at HMS/BWH, they were pretty tight-lipped about investigations of misconduct, probably because damage control is easier that way. I am not sure about the actual institutional policy, though. As to whether such an investigation is currently under way, that’s anyone’s guess, although the public pressure to “do something” certainly seems higher for RIKEN than for HMS/BWH- and I think that RIKEN’s very public investigation is entirely in response to public pressure. Paul – Thanks. Your posts/commentary have been balanced all along this STAP saga. Now the scientific world is curious to see how Harvard responds. And just as importantly Nature who didn’t cover themselves in glory….. The CDB annual report of 2013 on the RIKEN website says, the first author “took a postdoctoral fellowship in (Harvard) lab after completing her Ph.D in 2011 to continue the research she began in his lab, and also began collaborations with (RIKEN) at the CDB as a visiting scientist. In March 2013, she was appointed to her current position”. The two Nature papers were submitted on March 10th 2013. I interpret this to mean the STAP experiments, analysis, and paper-writing were carried out well before her lab started at RIKEN, when she was a visiting postdoc. Chapter 3 of the PhD reads: “One of definitions of stem cells is multidifferentiation potential. Also the degree of their stemness is determined by their differentiation potential. According to results of section 2, sphere forming cells expressed pluripotent cell markers. Therefore in this section, we aimed to confirm their differentiation potential….”. So I suppose the two Nature papers including the logic and English were written by a different hand. I live in Japan and I think there is one other reason why this story is getting a lot of attention in Japan. Just in the last few weeks there have been several scandals in Japan having to do with deception and unethical behavior, so there is a broader narrative that is emerging out of all these scandals. This includes a famous Japanese music composer Samuragochi, who had been dubbed as the Beethoven of Japan, been outed as a fake since he has been using a ghostwriter for all of his compositions. Another scandal unfolding in Japan in parallel to the Riken research involves a study conducted by the University of Tokyo Hospital for a leukemia drug, on behalf of the maker of this drug (the Japanese unit of drug maker Novartis). Such studies by hospitals and academic institutions are meant to be independent and objective without active involvement of the drug maker, in order to preserve their integrity. However, in this case the University of Tokyo Hospital allowed employees of the Japanese unit of Novartis to be actively involved in many aspects of its clinical trial. Hospital director Takashi Kadowaki has stated that the firm’s employees were virtually managing the study, and even took clinical data back to their company. He also said the employees were involved in the data analysis which was an important part of the study. Furthermore, the lab run by the lead doctor in the study received 8 million yen in donations from Novartis’ Japanese unit. These are serious breaches of ethics on part of the University of Tokyo Hospital. The hospital’s own investigative report, which was released on March 14, states, “It was a serious mistake, and this situation hurts the reputation of clinical tests”. In response, Japan’s Ministry of Health, Labor and Welfare has labeled this a serious situation and said the researchers involved showed a lack of ethics, which may result in punitive measures. Then there are the allegations that Okobata’s doctoral thesis, which she submitted to Waseda University, was heavily copied and plagiarised. So, I think a lot of Japanese people are becoming alarmed by the pattern of all these allegations.